There is no kitchen tool more lethal or more useful than a mandolin. It requires your full concentration; one glass of wine for bravery is recommended, any more than that would be irresponsible. 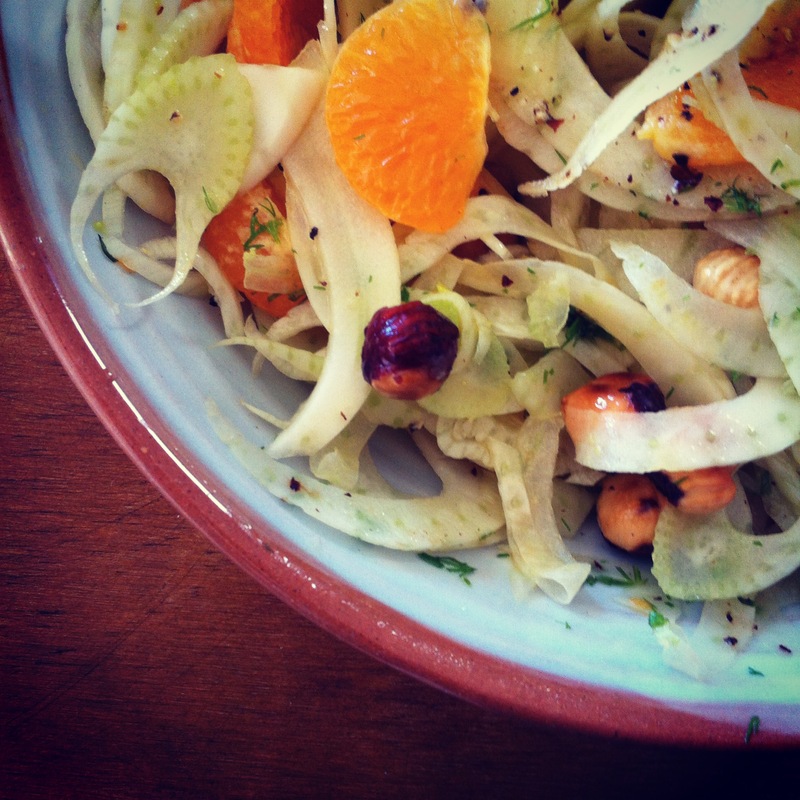 Mandolins are perfect for creating winter salads from fennel, cabbage, radishes, carrots… there are endless possibilities. This salad is less a recipe than a response to the contents of my fridge one day before the next Sunday vege market. It was so good that I’ll be definitely be ensuring I have fennel & mandarins in my fridge again next week. Use a mandolin to finely slice the fennel bulb. Peel the mandarin, remove most of the pith, and slice segments in half. Remove skin from the hazelnuts once toasted. Mix ingredients together in a small jar with a lid. Pour over fennel, mandarins and dill and toss thoroughly. Scatter over the hazelnuts. Good eaten with a forgotten piece of baguette that you found in your freezer and toasted in the oven with the hazelnuts.